As a middle school student, Colleen Bryant refused to participate in gym class. This summer, she’s one of two Brooks-sponsored athletes competing at the 2018 Special Olympics USA Games in Seattle. She may not have liked running at first, but Colleen’s growth in the sport has earned her a chance to compete at a national level. While still in high school, Colleen met distance runner and coach Ed Haywood. Ed inspired Colleen to train for a marathon—more than 25 miles longer than her usual races. Colleen embraced Ed’s detailed training schedule and proved to be a natural fit. 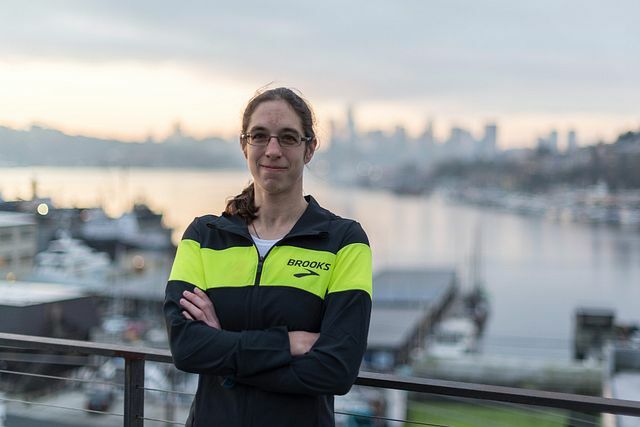 She chose the 2010 Seattle Rock ‘N’ Roll Marathon as her first test and finished in 4:28:42 with Ed at her side. By 2014 Colleen had brought her marathon best down to 3:31:55. The time qualified her for the Boston Marathon, and over the past four years she has worked with Ed to improve even more. In preparing for the USA Games, she’ll trade the roads for shorter track races, where speed and a strong sprint will be crucial. Colleen’s persistence and positivity helped her develop into a strong runner. Those same qualities, along with her talent, earned her a place on the Brooks team. Colleen will be a fierce competitor at the USA Games, and we’re ready to see her hard work pay off. Colleen may have started as a reluctant runner, but now she’s ready to claim a spot on the podium. 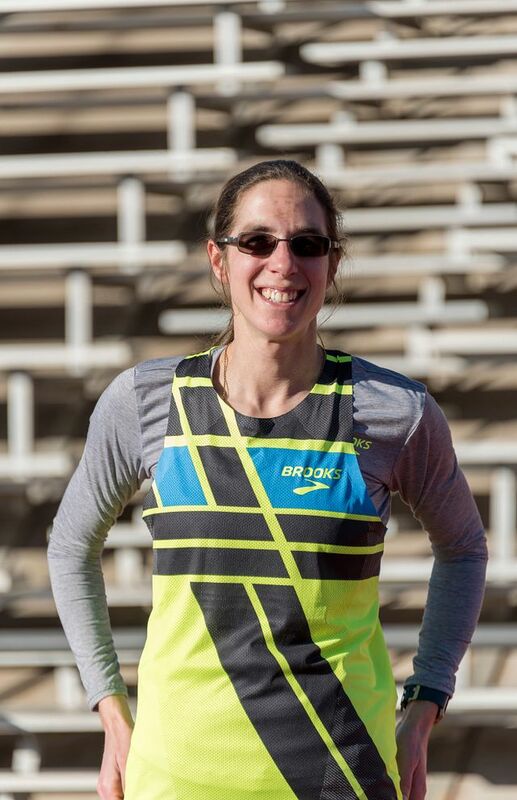 Look for Colleen running the 1,500- and 5,000-meter runs at the USA Games.